Susan O’Malley Chair of NGO CSW opens the briefing. 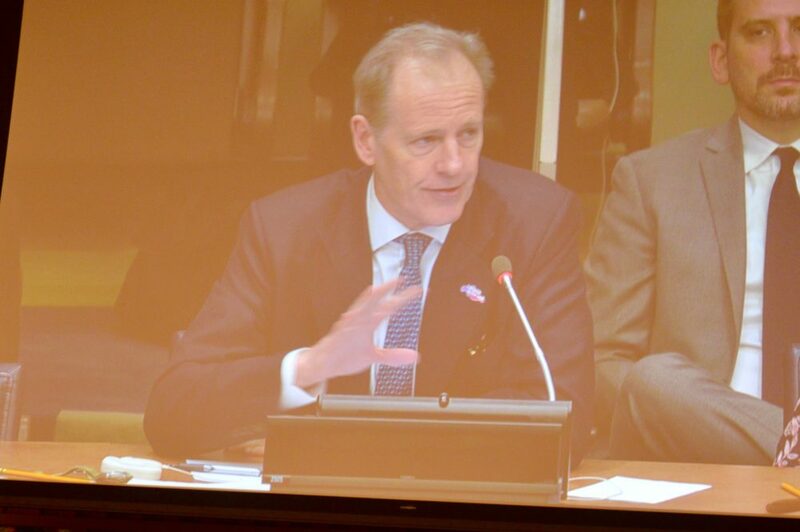 Asa Regnér spoke of engaging with civil society and plans for a Global Forum for NGOs. 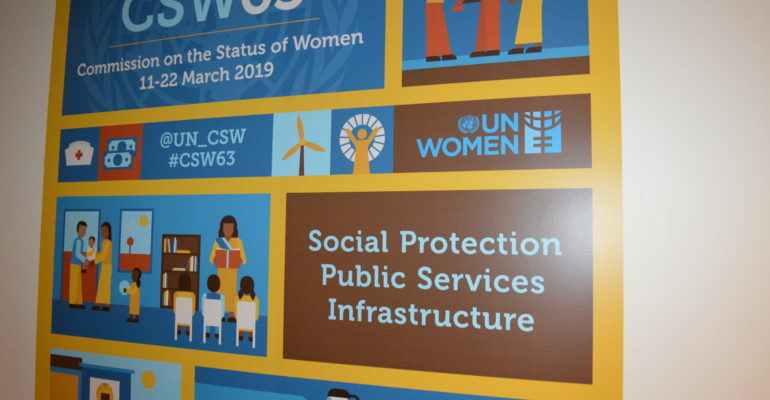 The Forum would include agencies and member states, and take place between CSW and the General Assembly sometime in June or July 2020, hosted by France. Attendees will be able to participate in person at the meetings, and digitally online. Regnér stressed the participatory nature of the Forum, emphasising the role and importance of NGO participation. 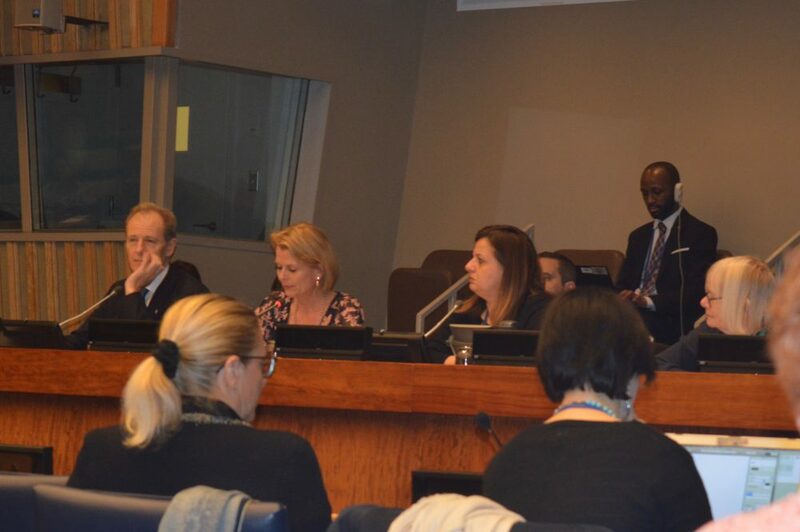 Regnér spoke of the ongoing challenges of visa and entry into the US for CSW delegates – current situation stands at 23 denials from different countries, and how this issue is being addressed. She discussed working in collaboration with UN Human Rights and gave examples of the work they are doing together to give more protective support to civil society and human rights defenders, and of trainings with emphasis on a human rights approach. Examples were given of collaborations taking place in Rwanda, Argentina, Sri Lanka and more. Andrew Gilmour discussed the shrinking of civil society space, and the Push-back, and Backlash – two separate but related issues showing resistance to human rights. Many arguments include infringing on sovereignty – a general resistance to the progression of women’s rights. 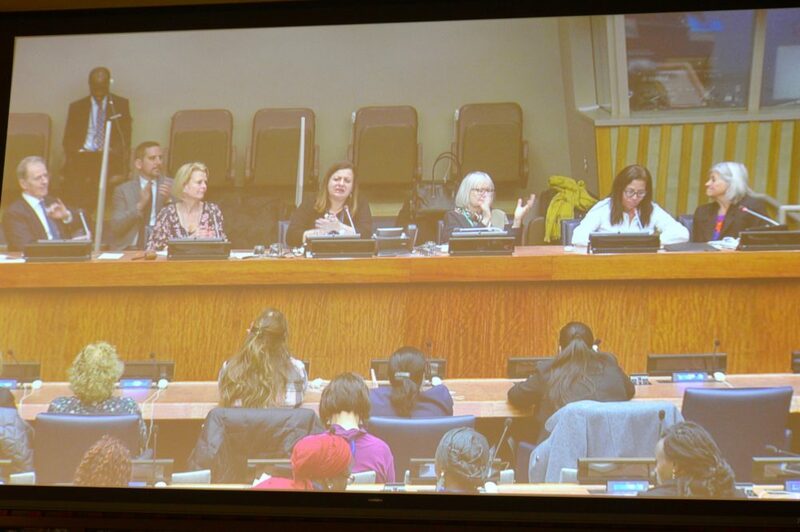 Gilmour spoke of the growing problem of threats and reprisals against women human rights defenders, calling this “nothing short of abhorrent” – and that year after year such reprisals: slander, misogynistic attacks and gender-based violence are being reported. Panelist, Haydee shared her story, and the struggles of Human Rights Offenders, and women in Nicaragua. Haydee thanked Gilmour for what she called an “X-ray of what is happening today in Nicaragua”. She said that in April of last year women – many young women and students, started a huge social explosion of rebellion and were now suffering repercussions. The morning session concluded with questions.